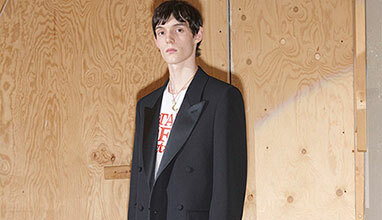 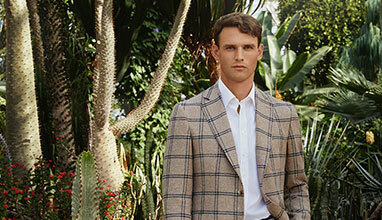 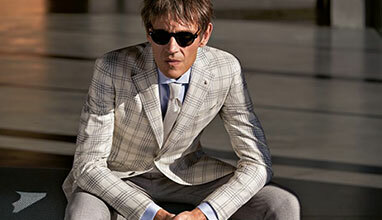 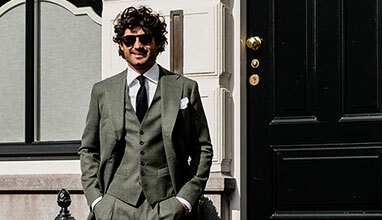 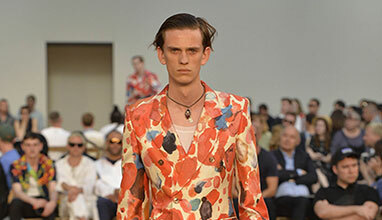 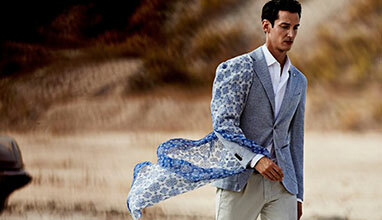 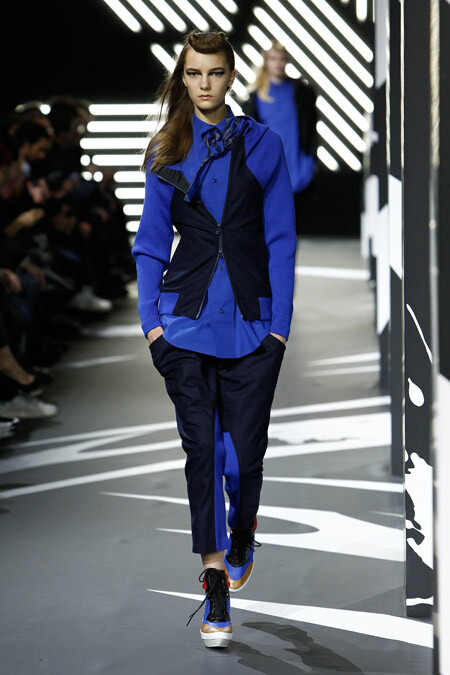 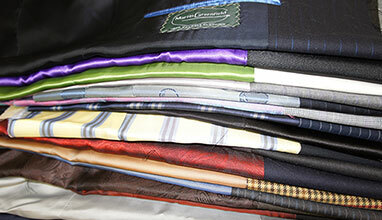 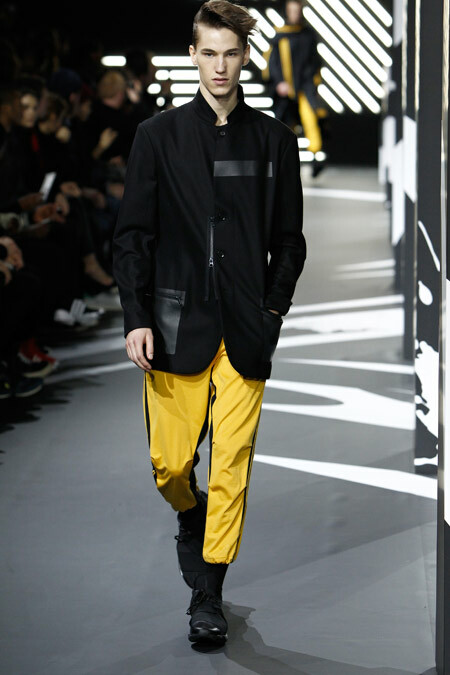 Men’s and women’s pieces were presented together in a range of retro-tinged primary colors. 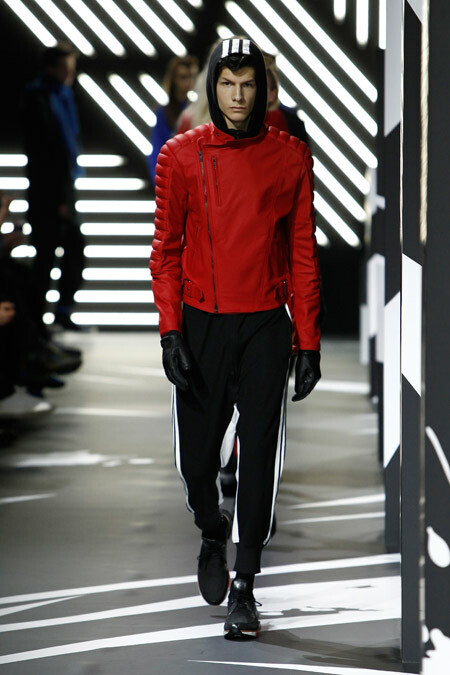 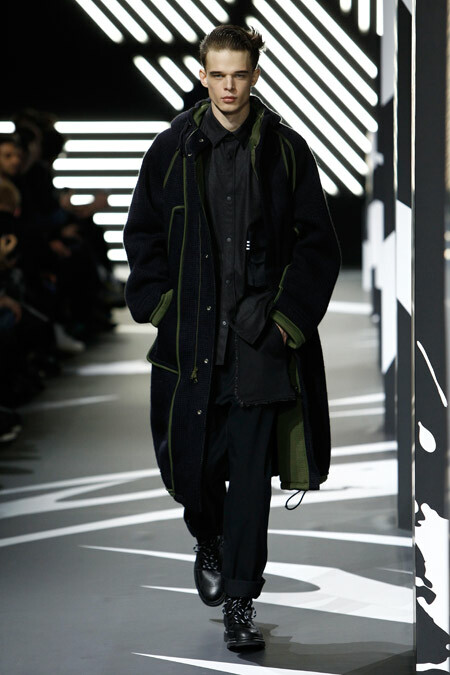 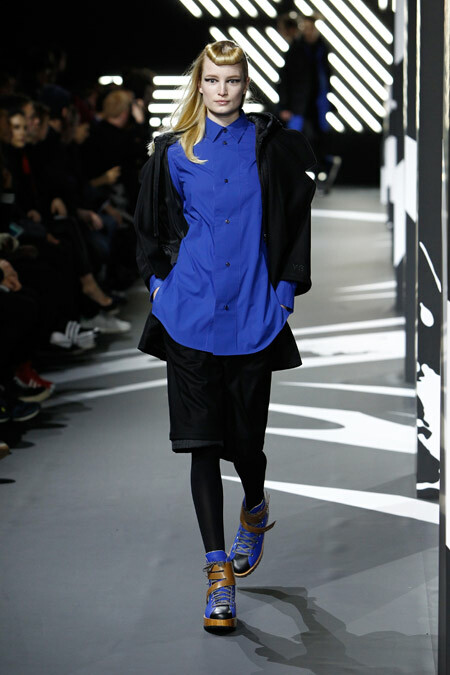 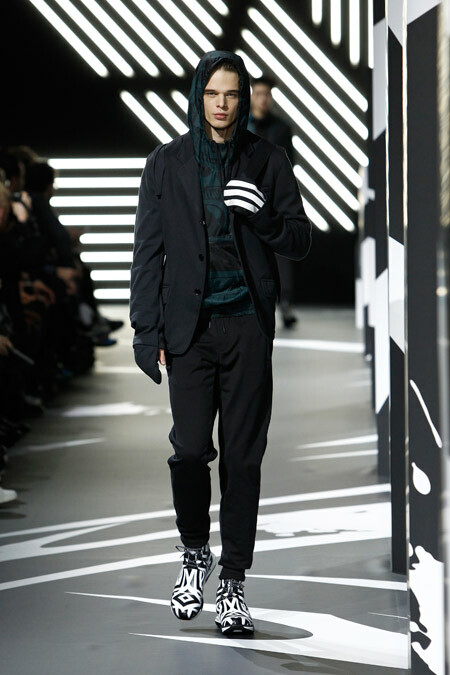 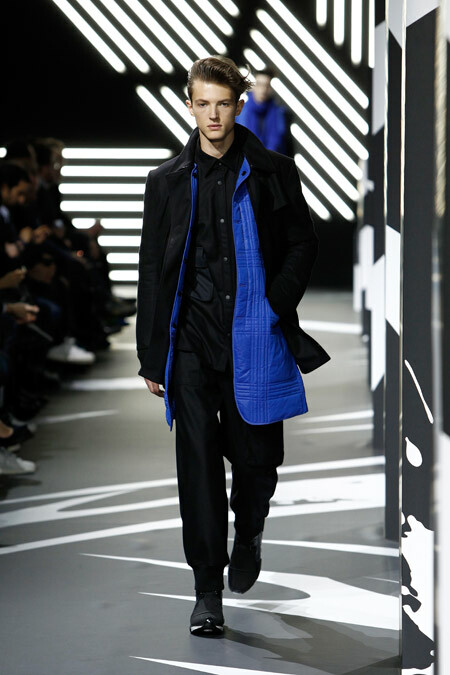 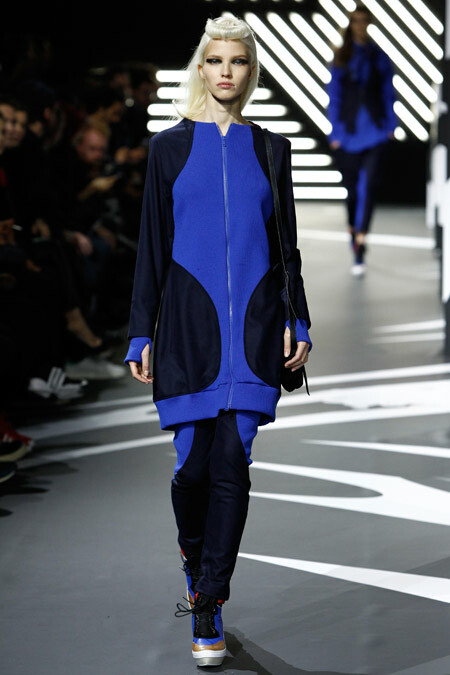 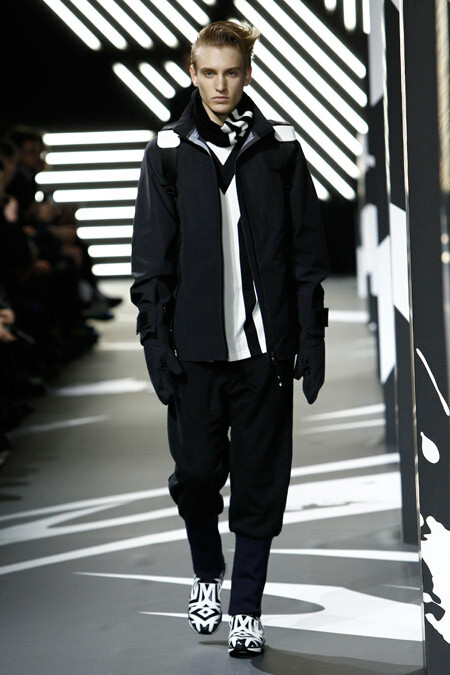 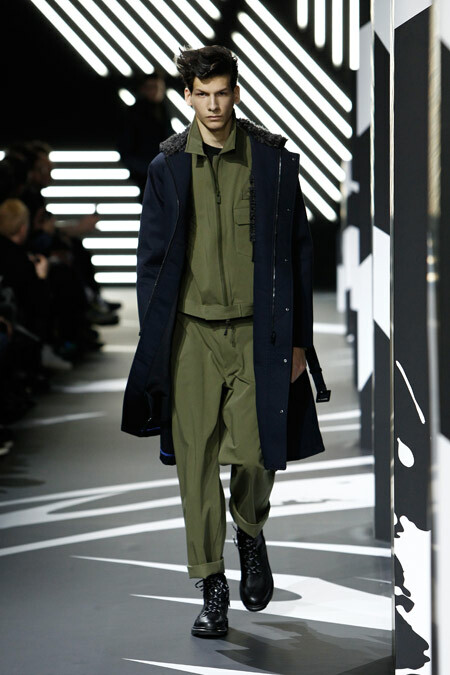 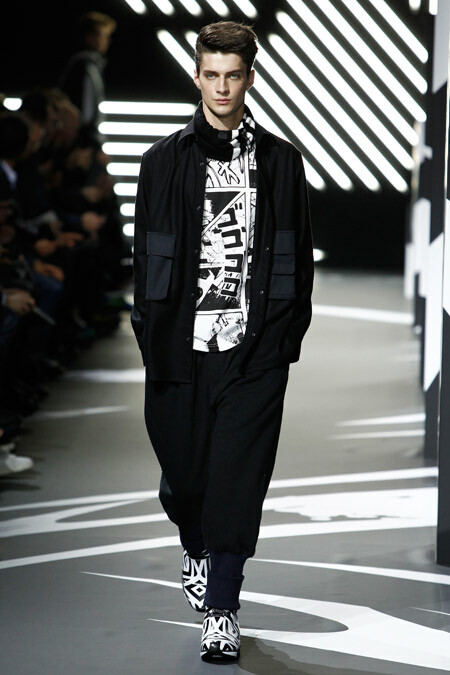 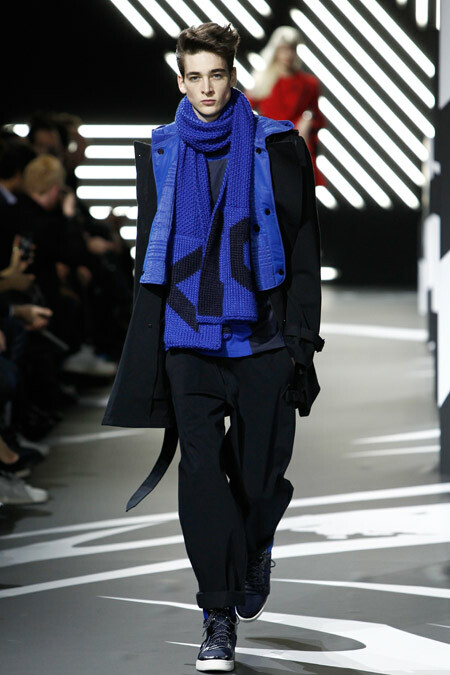 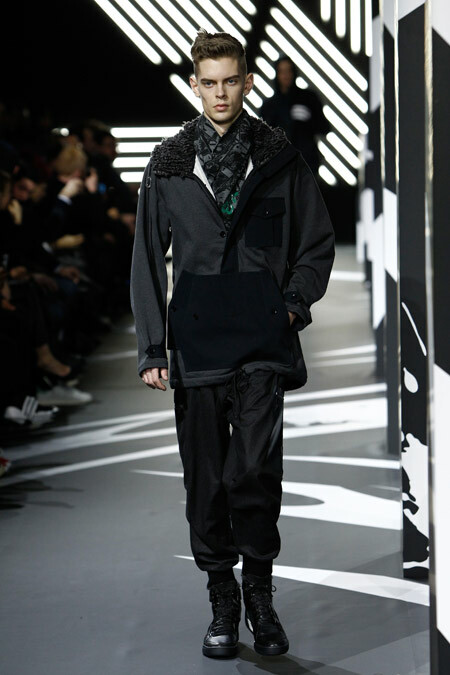 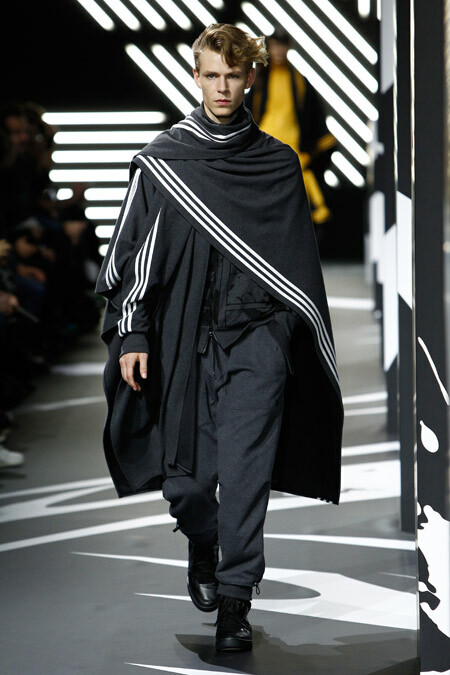 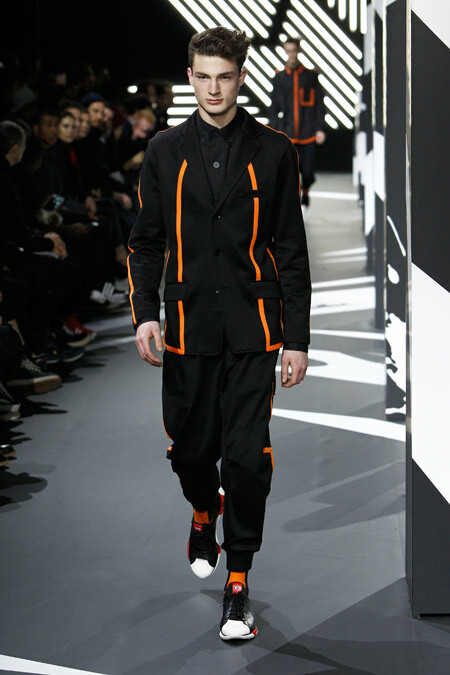 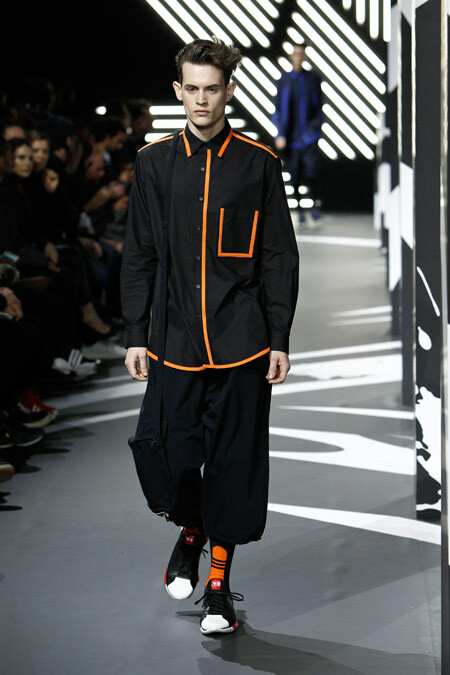 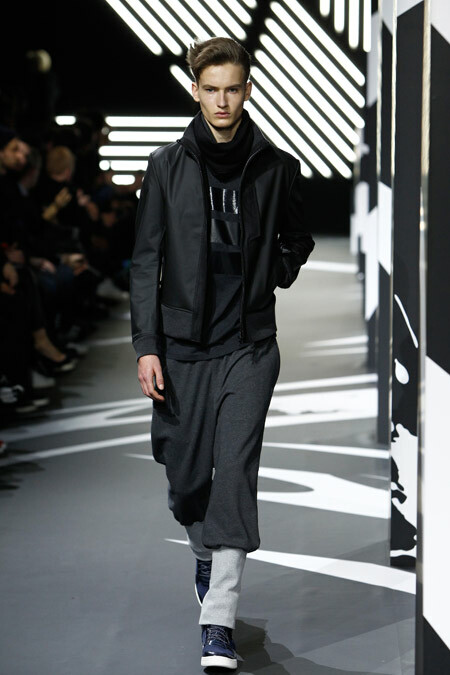 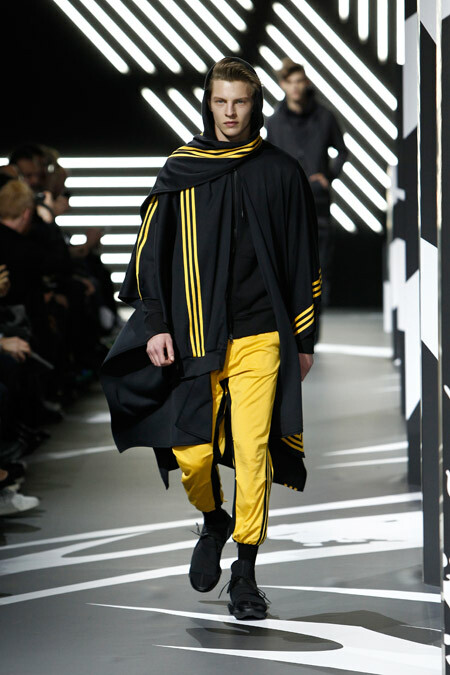 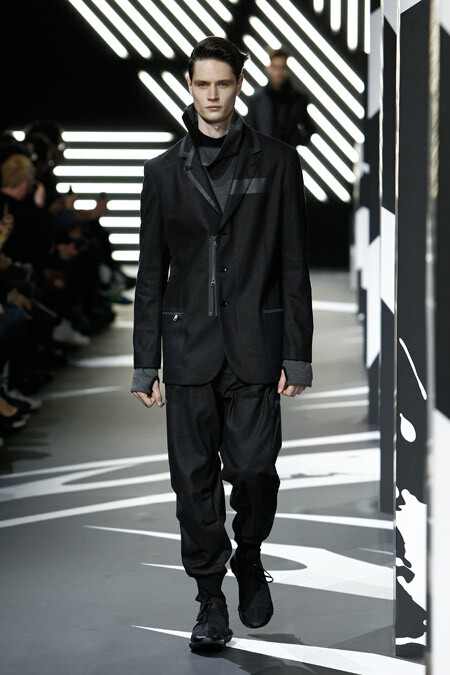 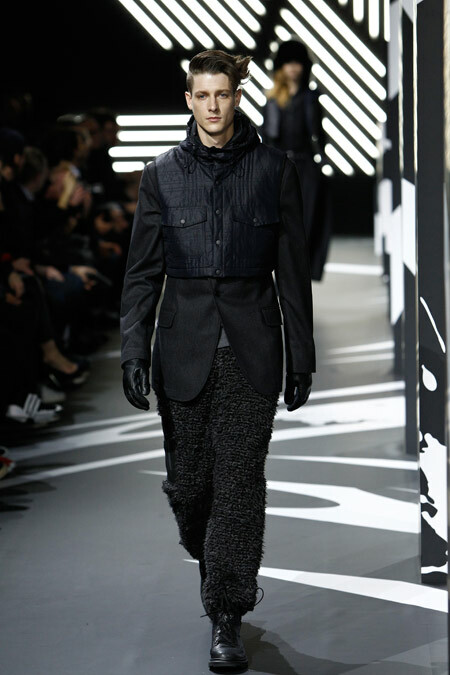 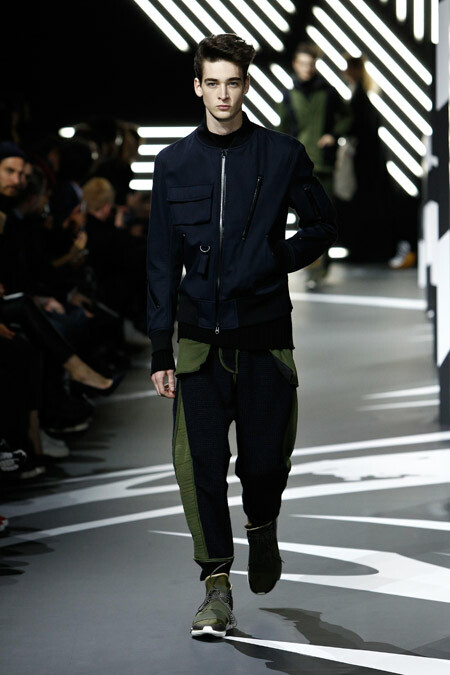 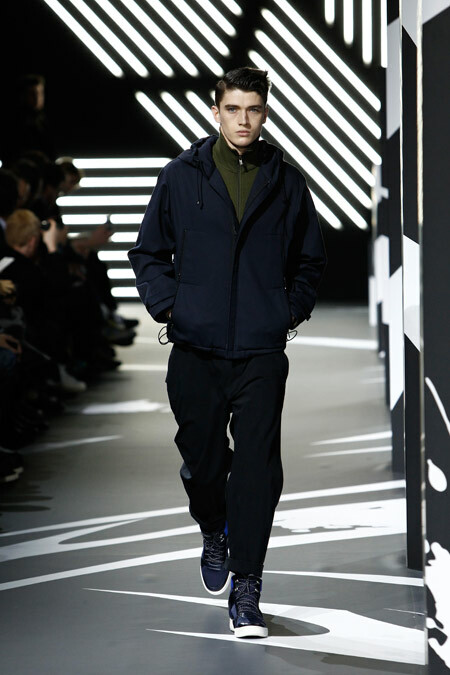 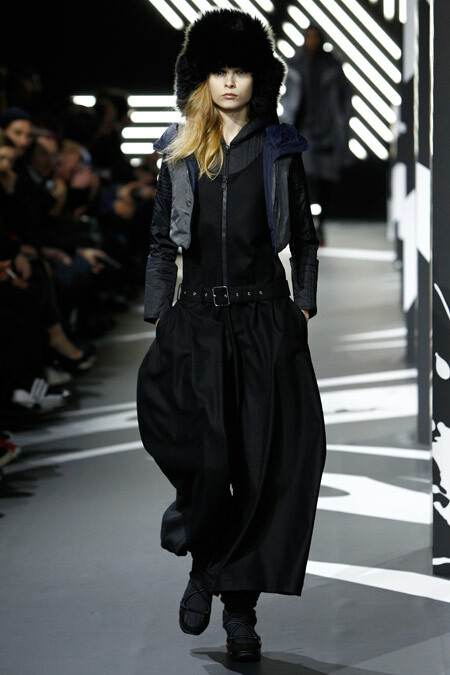 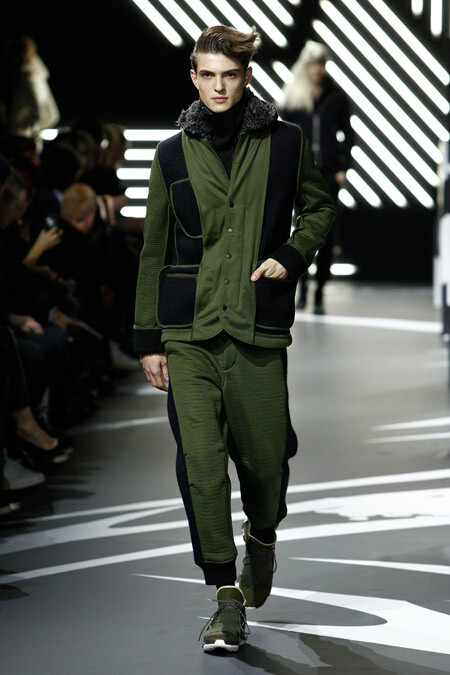 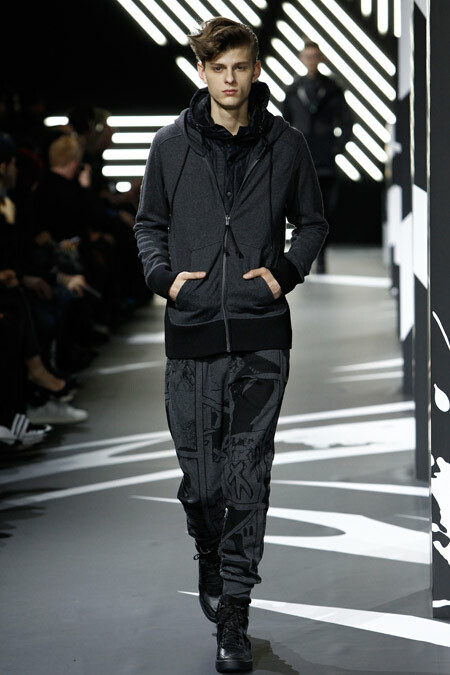 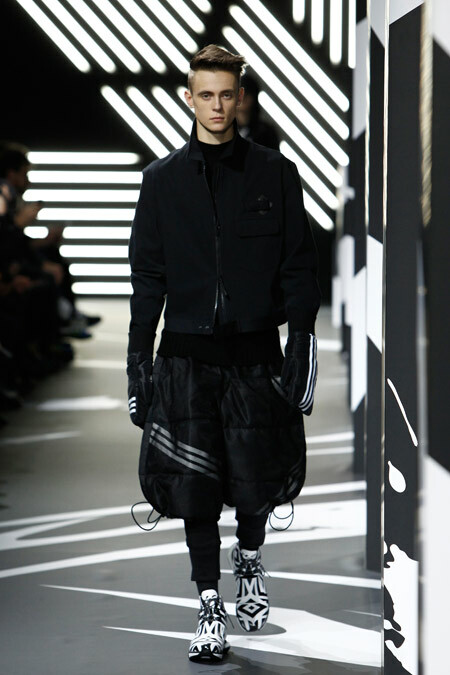 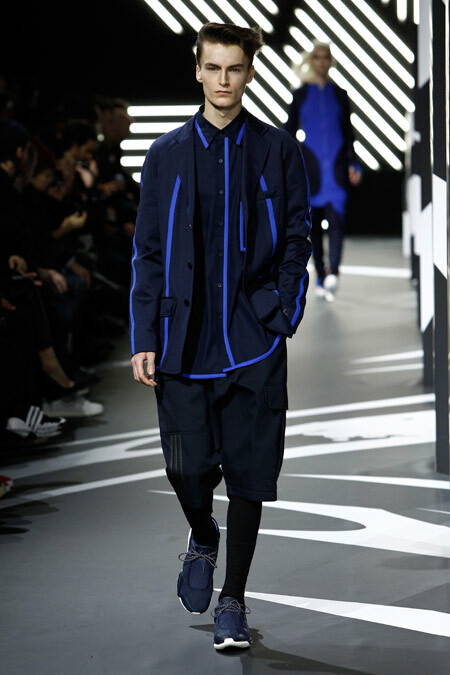 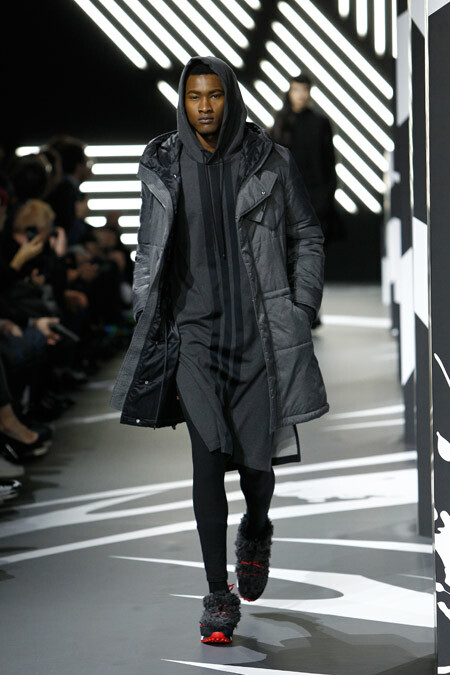 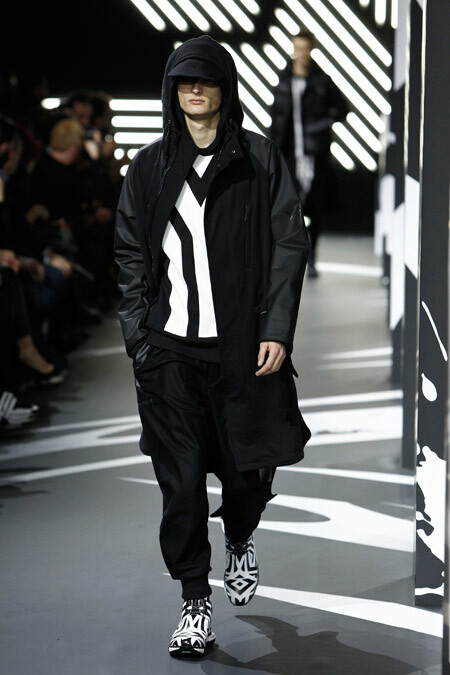 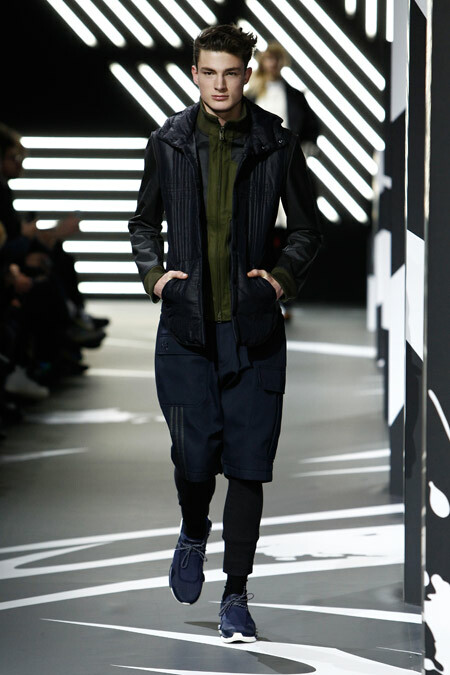 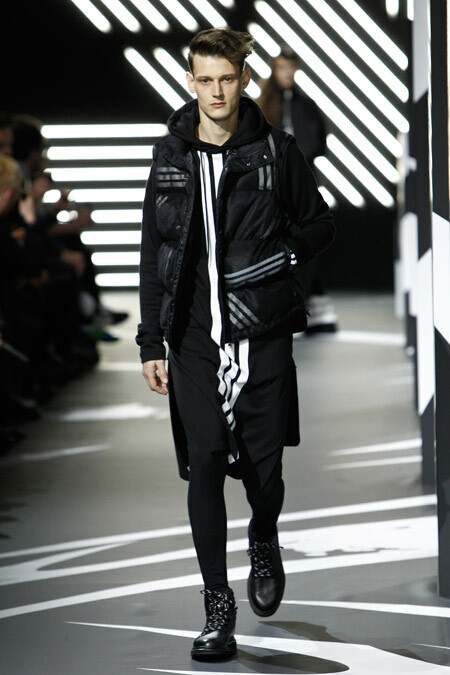 Clothes emphasized functionality and modularity to underscore Y-3’s commitment to the vision of sport-style. 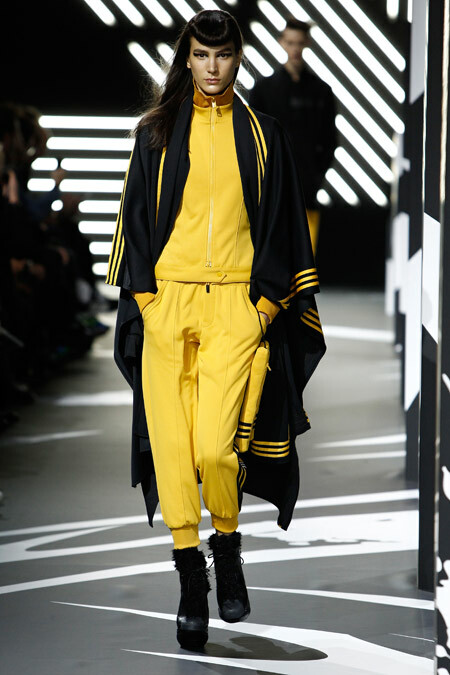 Stunningly revealed in an epic black and white setting with a neon light backdrop, models stalked the runway to superhero music themes and were watched by a front-row crowd including music icon A$AP Rocky, Parisian socialites Louise Monot, Caroline Proust and Louis-Marie de Castelbajac, German actor Clemens Schick as well as adidas athletes Gwladys Épangue (Olympian/Taekwondo), Wendie Renard (Football/Lyon/National Team Member), Laura Flessel-Colovic (Olympian/Fencing) and Jimmy Vicaut (Sprinter).